A man laughed as he ran off with about $45 in a money collection jar on Saturday, depriving two Girl Scouts in Escondido of their funds raised to ship cookies to deployed members of the military. Zoe and Gracie Fullerton and their mother Erin were manning a cookie drive table about 4:30 p.m. Saturday outside the Albertsons store on West Valley Parkway near West 11th Avenue. The suspect snatched cash from their donation jar — laughing as he took the money and ran toward a waiting car, NBC7 reported. The girls’ mother chased the thief, only described as being between 19 and 22 years old, and called for bystanders to join in, according to the television station. Erin Fullerton caught up to the suspect as he was fleeing in a black compact car and reached inside, but was knocked down as the car sped off, NBC7 reported. 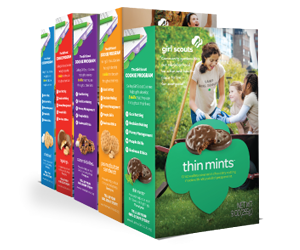 “Not only did they rob the Girl Scouts, they robbed the soldiers too,” she told the television station. However, witnesses wrote down the suspect vehicle’s license plate number, and Albertsons employees began collecting money to compensate for the loss, NBC7 reported.